Well, not exactly the cover of the Rolling Stone.. but even BETTER! 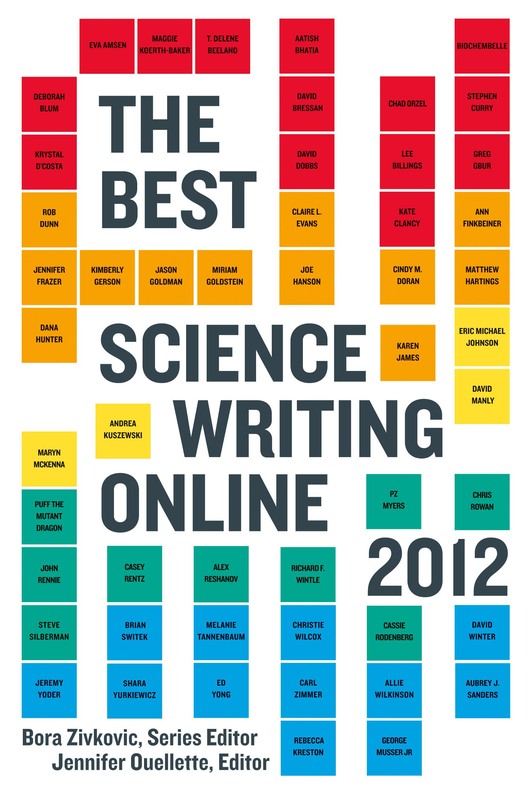 Here’s the fabulous cover design for The Best Science Writing Online 2012. (Design by Jason Heuer) Go ahead, click it and make it big! Look at me! I’m hanging with the cool kids! Thanks Jess. It is exciting. Now if I can just get that song out of my head long enough to get some writing done, the day would be perfect! Focus Kim, focus …..
That’s great, Kimberly! What piece of yours will be in the collection? The one about the wolf that you mentioned got a lot of notice last year? Thanks Christina! Yes, it’s the Romeo wolf story — somewhat edited to make it more print-friendly.